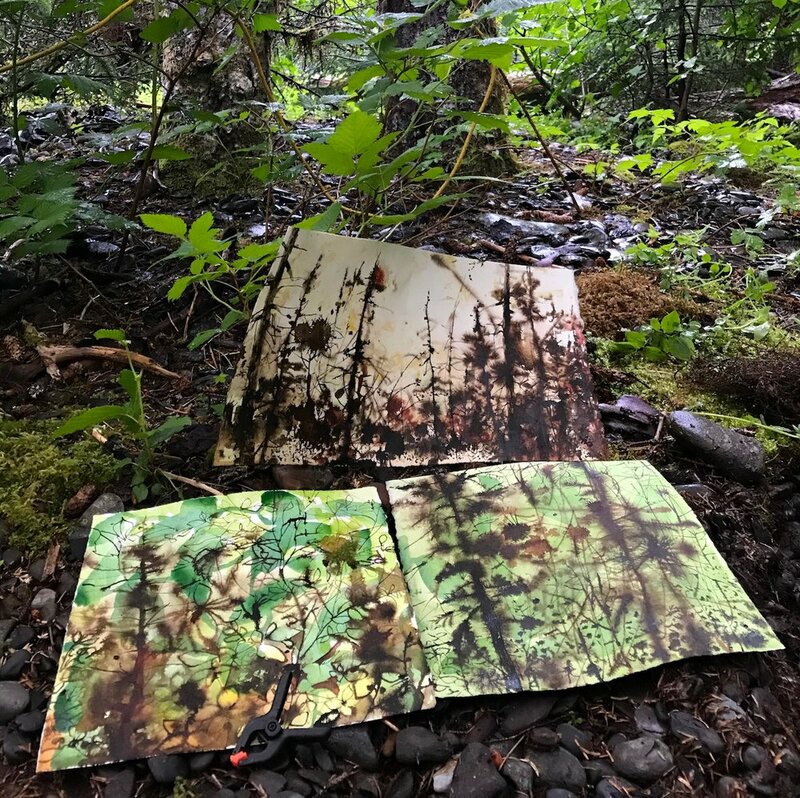 Field Studies is a series of paintings and artist’s books made outdoors using twig, brush, pencil, and pen. Each piece illuminates a wild species or particular habitat, sometimes with hand-lettered field notes or words about environmental concerns. 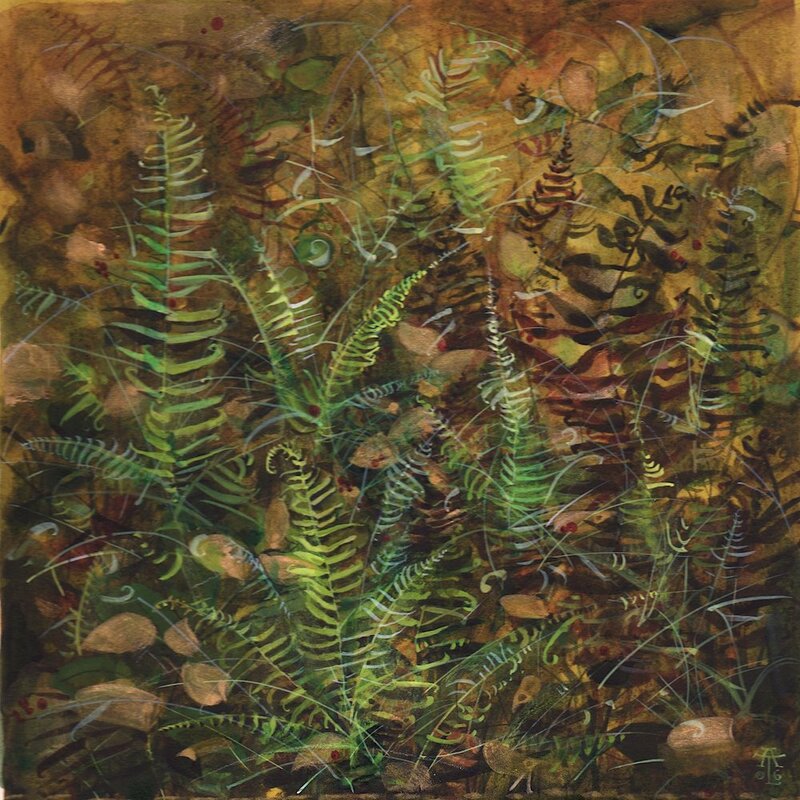 I work seated on the ground, using ink, pencil, watercolor, and gouache on paper. 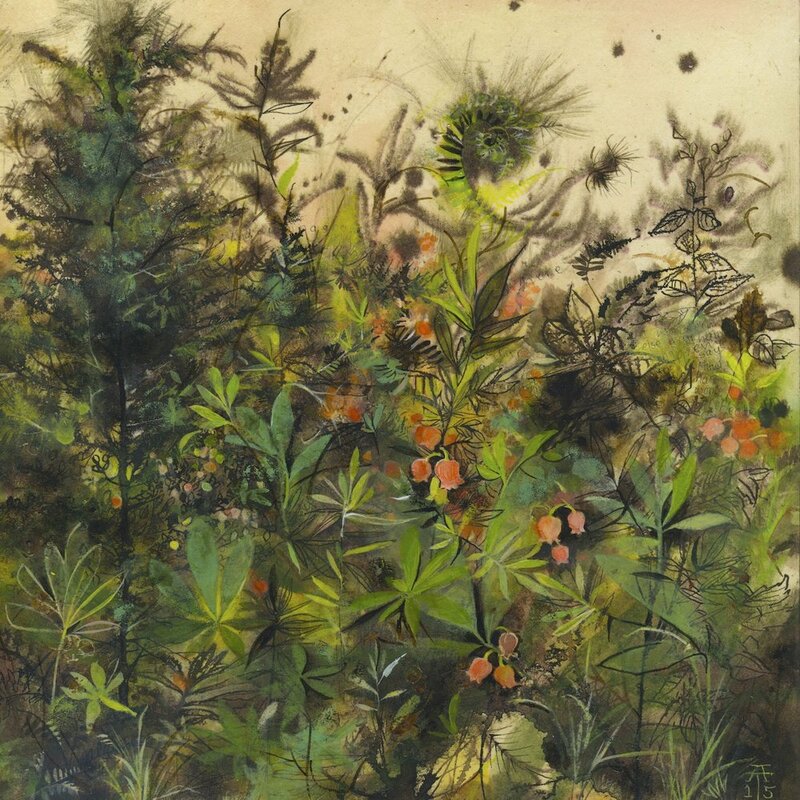 When available, I paint with stream, lake, or sea water; I often allow local fungi, soil, leaves, seaweed, and seeds to stain or embed themselves into my paintings. I invite traces of fieldwork to remain: rain and paint spatters, debris, and other marks of the wild.